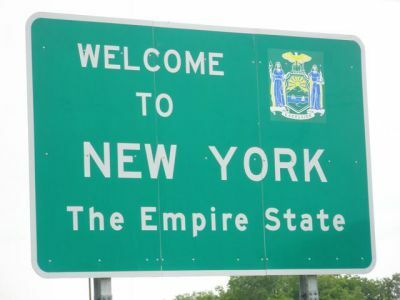 New York is a state in the Northeastern United States and is the United States' 27th-most extensive, fourth-most populous, and seventh-most densely populated state. 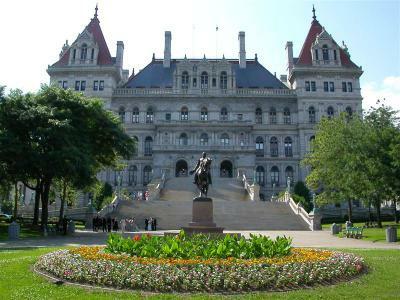 Wikipedia Capital: Albany Minimum wage: 8.75 USD per hour (Dec 31, 2014) Population: 19.75 million (2014) Attorney General: Eric Schneiderman State Bird: Eastern Bluebird State flower: Rose The Dutch first settled along the Hudson River in 1624; two years later they established the colony of New Amsterdam on Manhattan Island. 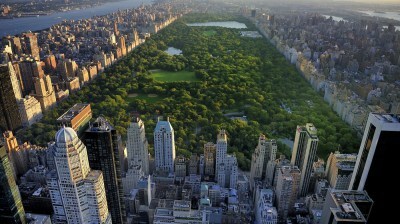 In 1664, the English took control of the area and renamed it New York. 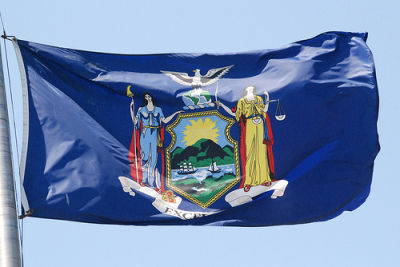 One of the original 13 colonies, New York played a crucial political and strategic role during the American Revolution. Between 1892 and 1954, millions of immigrants arrived in New York Harbor and passed through Ellis Island on their journey to becoming U.S citizens. 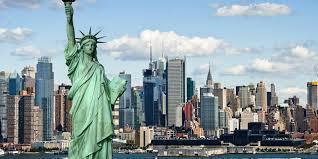 New York City was the first capital of the United States after the Constitution was ratified in 1788. On April 30, 1789, George Washington was inaugurated as the nation’s first president at Federal Hall, located on Wall Street. The popular tabloid New York Post was originally established in 1801 as a Federalist newspaper called the New York Evening Post by Alexander Hamilton, an author of the Federalist papers and the nation’s first secretary of the treasury. The Statue of Liberty was a gift from the people of France in honor of the United States’ enduring dedication to freedom and democracy and the alliance held between the two countries during the American Revolution. Erected in 1886 on Bedloe’s Island (later renamed Liberty Island) in New York Harbor, the statue stood as a welcoming symbol to the 14 million immigrants who entered the United States through New York until 1924. After the towns of Woodstock and Wallkill refused permission to host what ultimately became the country’s most renowned musical festival, a dairy farmer in nearby Bethel agreed to provide access to his land for “Three Days of Peace and Music.” With musical acts kicking off on August 15, 1969, the Woodstock Music Festival attracted more than 400,000 attendees—most of whom were admitted for free since the organizers of the event were unprepared to control access to such a large crowd. Adirondack Park in northeastern New York contains roughly 6 million acres of protected land. Comprised of both public and private areas, the park is larger than Yellowstone, Glacier, Everglades, and Grand Canyon National Parks combined. New York City contains roughly 660 miles of subway track connecting 468 subway stations—the lowest of which is located 180 miles below street level. In 2011, more than 1.6 billion people rode the subway. Comprised of three waterfalls on the United States and Canadian territory, Niagara Falls attracts 12 million visitors each year. The American Falls, in New York, are nearly 180 feet high and 1,100 feet long.